The user and the Thermo have to remain in the same ambient temperature for 10 minutes before taking a measurement. The measurement has to be taken on dry skin. Sweaty skin could impact the results. Make sure the user's hair is not in the way. Wait at least 10 minutes after waking up before taking your measurement. Wait at least 15 minutes after a workout before taking your measurement. 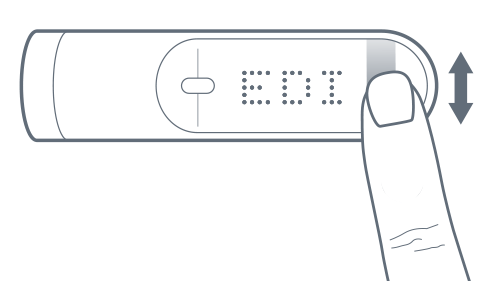 If you’re taking the temperature of a baby, make sure you wait at least 15 minutes after nursing him/her before taking a measurement. Do not take a measurement on a premature baby. Press and release the button of your Thermo. 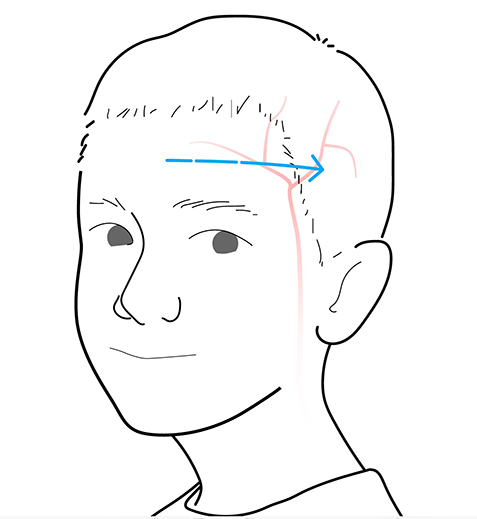 Scan across the forehead in a straight line, starting from the center of the forehead. Direct contact with the skin is not necessary. The Thermo can be up to 1 cm (0.5 in.) away from your skin. The Thermo vibrates at the end of the measurement and the result comes up on the display. 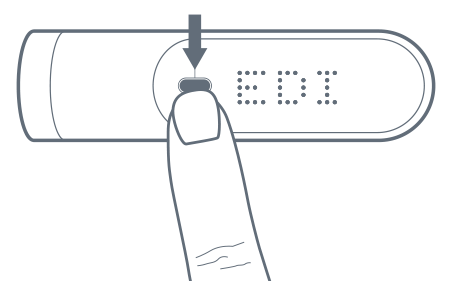 Slide your finger up or down on the touch sensitive area of the display to select the correct user. Press the button to confirm your choice. Your measurement is sent to the app after your Thermo turns off. Note: The Thermo can register approximately 30 measurements without syncing. is based on the temperature and the user’s age range. The severity of the fever is also clearly visible based on the color shown. Once you’ve assigned a measurement from your Thermo, you can check the history of measurements for the user. To do so, slide the touch sensitive area of your Thermo from bottom to top to go back in time. You can see the last five measurements taken in the past 72 hours.